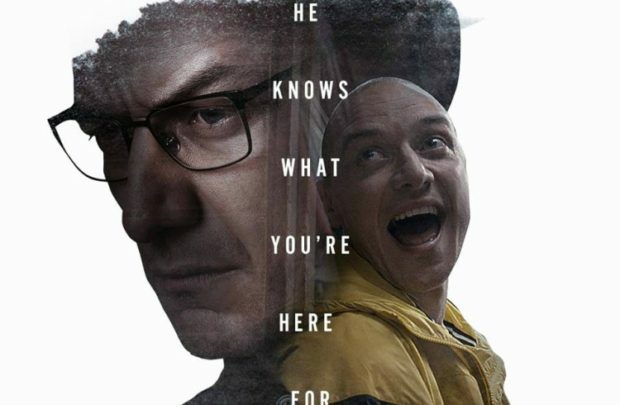 M. Night Shyamalan has a certain reputation. Actually, he has a few certain reputations. His third film, The Sixth Sense, established sure pacing and plotting, with a twist that became his hallmark. Eventually that became his undoing — what was once evidence of cleverness became cliche. Then he abandoned all that for The Last Airbender, which sucked all the air out of his storytelling abilities. Slowly, he built back up, and with Split, he’s achieved one of his strongest films. With a low budget and complete creative control, the auteur relies on his plotting and two central strong performances to keep audiences on the edge of their seats. Shyamalan even throws in a twist, but the twist here is that the movie would work just as well without it. 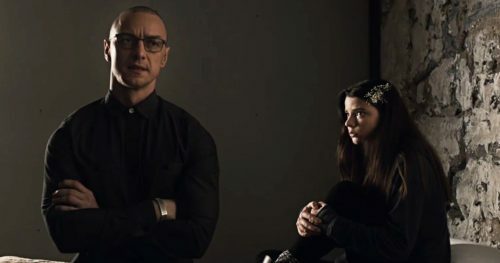 The cat and mouse between James McAvoy and Anya Taylor-Joy is that good. Taylor-Joy needs to be lauded for holding her own as a counter against the kind of role actors love to chew. Set up at the beginning of the film as the troubled outsider at school, her Casey slowly unfolds as a survivor. Flashbacks give us happier times in her youth — first as a nominal escape from her current situation as a kidnap victim, then darkening to show us why she will be no victim. Her strength anchors the other victims, Claire (Haley Lu Richardson) and Marcia (Jessica Sula). In the “normal” world, those two are the achievers, the alphas of the school. But when McAvoy’s Dennis aerosols them into unconsciousness and steals Claire’s father’s car, it’s the outsider who has to keep them alive. If you know anything about Split, you know that Dennis is not just Dennis. 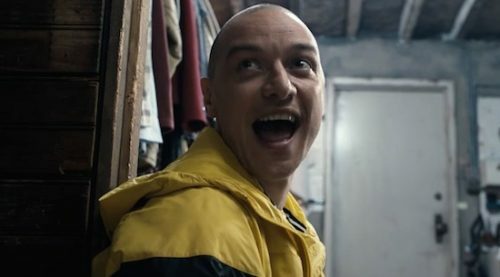 He’s also Patricia and Hedwig and Barry and many more, a victim of Dissociative Identity Disorder with two mysterious extremes of personality: Kevin, the real victim, and the ominous Beast. McAvoy transitions from character to character with gusto and subtlety, especially when Kevin’s therapist Dr. Fletcher (Betty Buckley) realizes that one of the personalities can impersonate another. The central three personalities believe that the Beast is coming, and have kidnapped two of the girls as a sacrifice for his ascension. Casey just happened to be along for the ride. Imprisoned in the bowels of Kevin’s workplace, the young women desperately look for hope. Instead, Shyamalan gives us tense claustrophobic set pieces that ratchet up the anxiety. Without cheating, the director even keeps us from understanding where that workplace is for most of the film, subtly adding to our discomfort. Dr. Fletcher knows where it is, but has no idea that her patient is a kidnapper. She just knows something’s off, and as earnest an actor as Buckley is, she has to carry the weakest expository scenes. For all Shyamalan’s strength as an idea man, he can still get clunky explaining what’s going on in his head. It’s all still compelling, but to have to compete in screentime with McAvoy, Buckley couldn’t have succeeded even if she’d dressed in her old Cats costume. No one could, because Kevin and his personalities are designed to devour the scenery. To that end, McAvoy throws himself in with abandon; there are scenes with the 9-year-old Hedwig that are both “oh, come on,” and “yes, a 9-year-old would act that way.” You can’t take your eyes off McAvoy. It’s a movie that’s got rewatchability, even once the plot is completely known. It’s nice to have Shyamalan back — unless this is one of his other identities fooling us. Nah. Even for him, that’s too much of a twist.